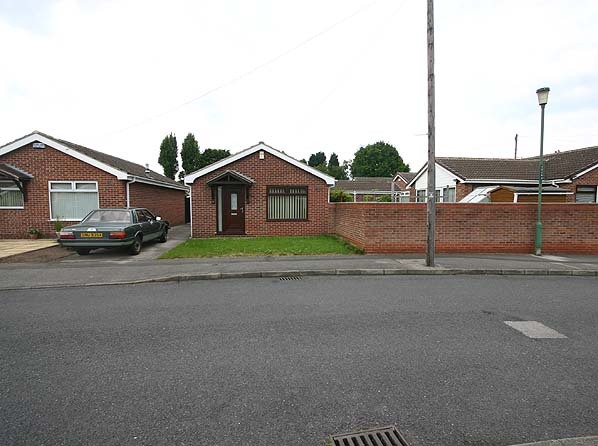 Present state: The station has been demolished and the site is now occupied by a new housing estate. 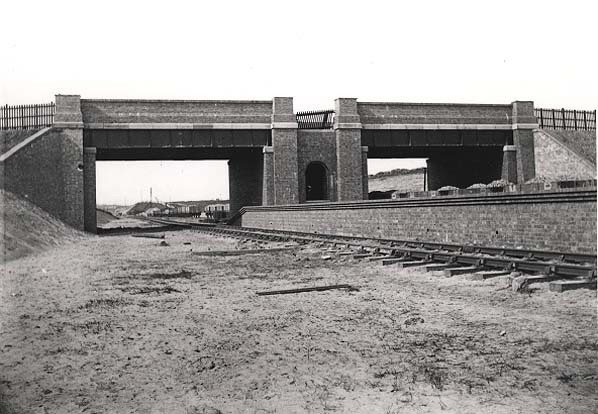 The overbridge at the north end of the station is still extant and the stationmaster's house in St. Albans Road is now in private occupation. 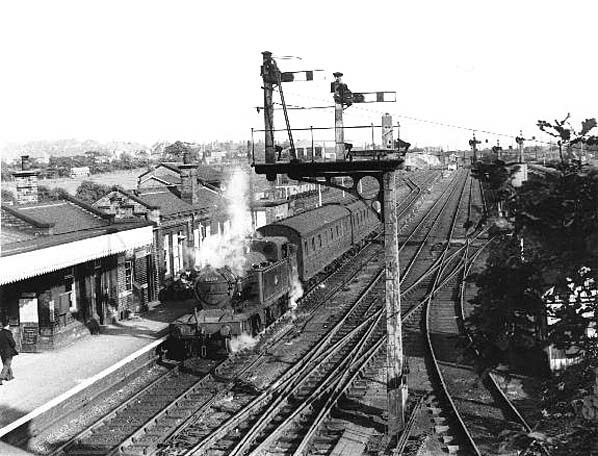 Notes: In true Great Central style, the station had a single island platform located below a road overbridge from the centre of which a covered staircase led down to the booking office on the platform; the centre piers of the bridge were left hollow to provide lamp rooms. 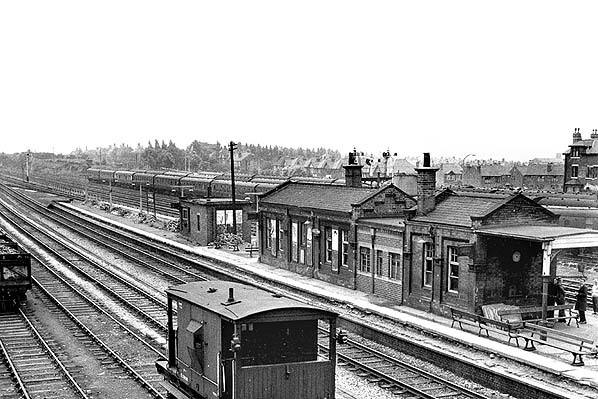 The station was provided with a small goods yard. 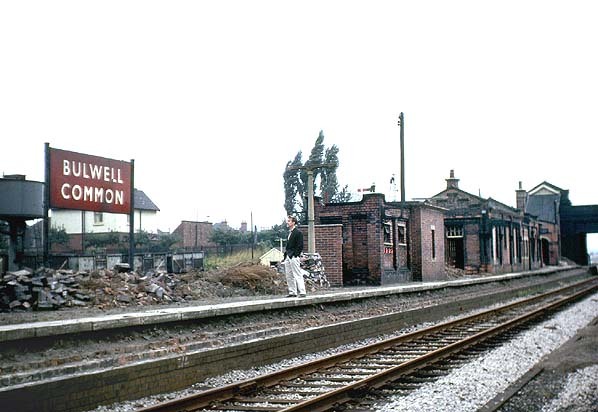 Bulwell Common was closed when the local service was withdrawn on 4th March 1963; goods service from the station were withdrawn on the same date. Too see other stations on the Great Central Railway between Sheffield Victoria and Aylesbury click on the station name: Aylesbury, Waddesdon, Quainton Road (1st site), Quainton Road (2nd site)**, Calvert, Finmere, Brackley Central, Helmdon, Culworth, Woodford Halse, Charwelton, Braunston & Willoughby, Rugby Central, Lutterworth, Ashby Magna, Whetstone, Leicester Central, Leicester North***, Belgrave & Birstall, Rothley**, Swithland****, Quorn & Woodhouse**, Loughborough Central**, East Leake, Rushcliffe Halt**, Ruddington, Ruddington Factory Halt, Arkwright Street, Nottingham Victoria, Carrington, New Basford, Bulwell Hall Halt, Hucknall Central, Annesley South Junction Halt, Hollinwell & Annesley, Kirkby Bentinck, Tibshelf Town, Pilsley, Heath, Staveley Central, Renishaw Central, Killamarsh Central, Beighton (1st site), Beighton (2nd site), Woodhouse Junction, Woodhouse*, Darnall*, Sheffield Victoria & Sheffield Bridgehouses. 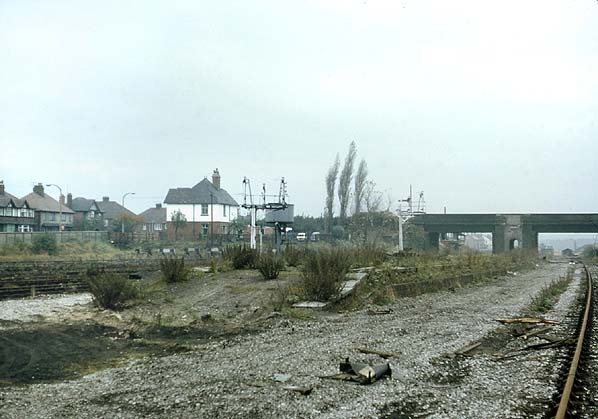 Looking north from Kersall Drive towards Bulwell Common station (at the next bridge) in 1969. 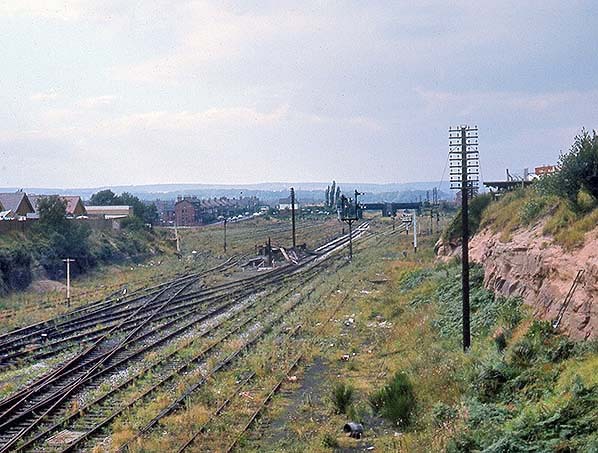 Bulwell Common Station looking north in November 1969 shortly after the track was lifted. The site of Bulwell Common Station looking north in May 2008. The trees in the background are on the still extant bridge over the line.